In a large bowl, mix together the flour, sugar, baking powder, salt and nutmeg. In a separate glass or metal bowl, beat the eggs. Add the milk, applesauce and oil and mix well. Add the wet ingredients to the dry ingredients and mix until just combined and moistened. 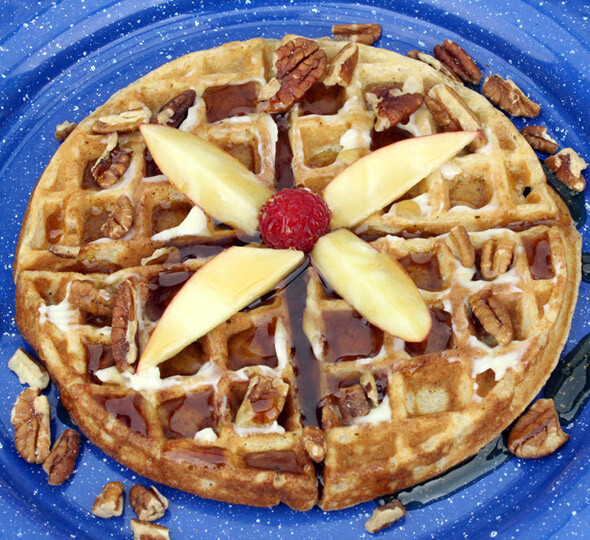 Try not to over-mix or the waffle will have a tougher consistency. 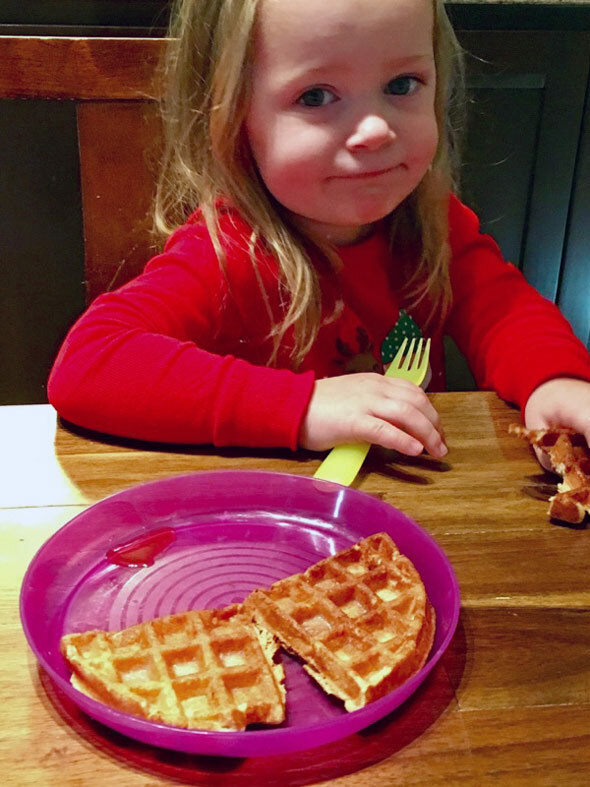 Cook the waffles to golden brown according to the instructions on your waffle maker. Mine tells me NOT to spray the plates with any cooking spray and my waffles still never stick. But I know some ask you to spray the plates with cooking spray, so be sure to check the manual. Serve hot with a smear of butter and lots of maple syrup (or other favorite topping). The batter makes 3 waffles on my standard waffle maker. For my recipe test, I used half milk and half buttermilk. I used two 4-ounce containers of applesauce which came out to 3/4 cup. I also added 1/2 teaspoon cinnamon to the dry ingredients and 1 teaspoon vanilla to the wet ingredients. I was able to get five 6-inch waffles from the batter. 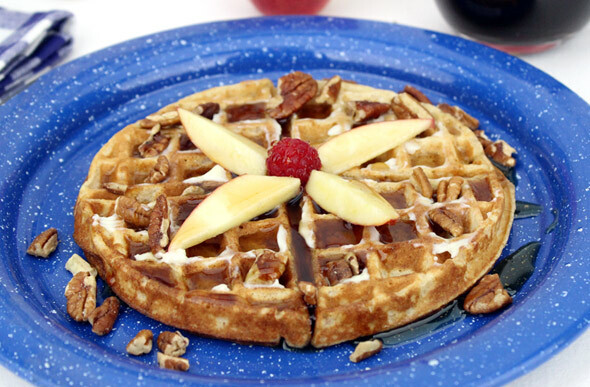 For a special apple experience, serve these waffles topped with warmed apple pie filling and a little whipped cream. I just made my mouth water. Recipe number 2293. Submitted 4/4/2008.